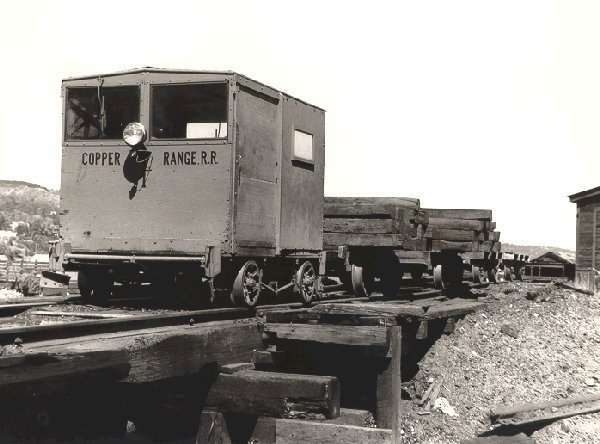 CRRR Enclosed Self Powered Section Car with two loaded and one empty Tie Cars. Houghton Michigan. July 23, 1966. From the Kevin E. Musser Collection.